What follows is a work in progress about Jim Jones and the Peoples Temple. In so far as it has a central thesis, it is that Jones initiated the 1978 massacre at Jonestown, Guyana because he feared that Congressman Leo Ryan’s investigation would disgrace him. Specifically, Jones was afraid that Ryan and the press would uncover evidence that the leftist founder of the Peoples Temple was for many years an asset of the FBI and the CIA. This fear was, I believe, mirrored in various precincts of the U.S. intelligence community, which worried that Ryan’s investigation would embarrass the CIA by linking Jones to some of the Agency’s most volatile programs—including “mind-control” studies and operations such as MK-ULTRA. This is, I suspect, why Jones’s 201-file was purged by the CIA in 1970, immediately after Jones’s case-officer, Dan Mitrione, was murdered in Montevideo, Uruguay. A second finding that will come as a surprise to many is that the Jonestown catastrophe was as much a massacre as it was a “mass-suicide” – contrary to what was reported in the press. What I believe and what I can prove are, in some instances, two different things. There is no smoking gun in the pages that follow. But I think the reader will agree that there are certainly a great many empty cartridges lying around—enough, perhaps, to stimulate further investigation by others. Having said that, it should be added that I am hardly the first to suggest that the Jonestown massacre was the outcome of someone’s secret machinations. The affair is inherently mysterious, and conspiracy theories abound—the most prominent among them that “Jonestown” was a CIA mind-control experiment. This is a view that has been put forward in a number of venues. Congressman Ryan’s close friend and chief-of-staff, the late Joe Holsinger, was persuaded of it. The respectable Edwin Mellen Press has gone so far as to publish a book on the subject. [Was Jonestown a CIA Medical Experiment? by Michael Meiers, Studies in American Religion, Volume 35, Edwin Mellen Press, 1988. Meiers answers the question affirmatively, relying upon circumstantial evidence that is not entirely convincing.] And professional conspiracists such as John Judge have embraced the thesis wholeheartedly. In my view, they’re probably mistaken. Ultimately, the truth is darker, the evil more banal. In the Fall of 1978, with Thanksgiving less than two weeks away, Congressman Leo Ryan (D-CA) flew to Georgetown, Guyana accompanied by a contingent of “Concerned Relatives” and members of the press. The purpose of the trip was at once simple and difficult: to determine whether or not American citizens were being abused or held against their will at the Peoples Temple agricultural settlement in Jonestown. Escorted by Richard Dwyer, Deputy Chief of Mission at the U.S. Embassy, Congressman Ryan and a part of his contingent visited the remote commune on the afternoon of November 17, 1978 – a Friday. Jim Jones, Charles Garry and Richard Dwyer (Left to right). This image is from “the Jonestown Institute” at San Diego State University. Though the visit was unwelcome and filled with tension, Temple attorneys Charles Garry and Mark Lane arranged for the delegation to be given a tour of the settlement, food and a place to sleep. Accordingly, members of the Ryan party met with Jones and spoke with many of the organization’s rank-and-file. Speeches and entertainment went on until late in the eventing. Driven to the airstrip at nearby Port Kaituma, where two small planes waited, Ryan and his party were ambushed by a contingent of Templars, driven to the scene on the back of a tractor. When the shooting ended, five people, including the congressman, lay dead on the tarmac. Nearby, and in the surrounding jungle, survivors of the congressional delegation, having fled from the shooting, hid from sight, tending each other’s wounds. Meanwhile, the death-squad returned to Jonestown as one of the small planes, its engine damaged, took off for the capital carrying both flight crews and news of the ambush. As night descended on western Guyana, both the wounded and the well concealed themselves in a rum shop at Port Kaituma, awaiting evacuation in the morning. Five miles away, unknown to anyone in Port Kaituma, a holocaust unfolded in Jonestown. Guyanese defense forces arrived at the airstrip the next morning, shortly after dawn. Securing the runway, the troops turned toward Jonestown, marching down the long, rough road to the commune. They reached the settlement at mid-morning, and were horrified to find a field of cadavers – men, women and children lying in an arc around the settlement’s central pavilion. Some two-hundred bodies were quickly counted, but the numbers of dead climbed ever higher in the days that followed. Revisions to the toll were continual, and sickening: 363, 405, 775, 800, 869, 910, 912, 913… To newspaper readers and watchers of the evening news, it seemed almost as if the slaughter was on-going, rather than a fait accompli. Amid the confusion and horror, the escalating body-count provoked suspicions, though explanations abounded. It was said, for example, that the count was consistently low because the bodies of children lay unseen beneath the corpses of adults. Skeptics, however, pointed out that some of the earliest reports listed 82 children among 363 dead. [Baltimore Sun, November 21, 1978. A subsequent report, by the Associated Press on November 25, listed 180 children among 775 cadavers. The final count, recorded by the Miami Herald on December 17, reported that 260 children were among the dead] It seems fair to say, then, that the children’s presence was known from the beginning, and ought to have been taken into account. Moreover, even if the dead had been counted from the air, and even if one assumed that all of the children had been hidden from sight—which, as photos attest, was not the case—the body-count should have been more than 600 from the very first day. Of course, conditions were primitive, and the circumstances ghastly. Mistakes were inevitable. Even so, 789 American passports had been found at Jonestown within a few hours of the troops’ arrival. 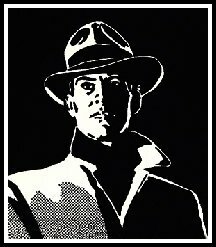 [Los Angeles Times, November 24, 1978] This discovery, coupled with the low body-count, had somehow caused those at the scene to believe that hundreds of “cultists” were “missing.” Indeed, it was to find these supposedly missing Templars that military search-parties were sent by foot, plane and helicopter to search the surrounding forest. Meanwhile, incredibly, the dead lay in plain sight—nearly a thousand of them in an area the size of a football field. It was a a week, then, before the body-count stabilized at 913 and, when it did, skeptics wondered how it was possible that 363 bodies had concealed 550—particularly when 82 of the 363 were said to have been small children. Even mathematically, and from its inception, “Jonestown” did not make sense. Something was wrong with the reports from the very first day. More than 900 men, women and children were suddenly, violently dead under circumstances that, even at this late date, remain mind-boggling. The official view, as it emerged in newspapers and instant-books, [It is literally true that, even before the dead could be buried, both the San Francisco Chronicle and the Washington Post had published books about the massacre.] was that upwards of 1000 brainwashed religious fanatics committed suicide in the jungle because their leader, Jim Jones, told them to. One by one, they’d come forward without protest to drink cyanide-laced “Kool-Aid” from a vat. [In fact, the sweetener used was Fla-Vor-Aid] It was as simple as that, the public was told. Jonestown was proof-positive of the effectiveness of “brainwashing,” and of the dangers inherent in the new religions. a medicolegal autopsy ought to have been performed on every body to establish the cause and manner of death in each case. “Probable cyanide poisoning” was, therefore, a conclusion based upon circumstantial evidence: i.e., reports, including press reports, from the scene. These accounts noted the presence of cyanide salts in the inventory of Jonestown’s medical dispensary; and, also, the discovery of cyanide in syringes and bottles on the ground around the pavilion. Finally, there was the account of Dr. Leslie Mootoo, chief medical examiner and senior bacteriologist for Guyana, who examined scores of bodies in situ within a day or two of the disaster. According to Dr. Mootoo, who labored long and hard, taking specimens and samples from many of the dead, cyanide was present in the stomachs of most of those whom he examined. Unfortunately, evidence of his findings disappeared soon after it was collected. According to Dr. Mootoo, his specimens and samples were given to “a representative of the American Embassy in Georgetown, expecting that they would be forwarded to American forensic pathologists.” They weren’t. No one seems to know what happened to them. In the end, physicians were able to certify the cause of death in only two of the more than 900 cases—though Dr. Mootoo’s field-work lent considerable weight to the conclusion that most of the victims had been poisoned. As for the manner of death, whether suicide or homicide, the best evidence was again Dr. Mootoo’s. The Guyanese physician, trained in London and Vienna, concluded that more than 700 of the dead had been murdered. This conclusion was based on several observations. In the case of the 260 children, for example, they could hardly be held responsible for their own deaths. So they had been killed by others. As for the adults, Dr. Mootoo reported that 83 of the 100 bodies that he examined had needle-punctures on the backs of their shoulders—suggesting that they had been forcibly held down and injected against their will. [American Medical News, "Bungled Aftermath of Tragedy," by Lawrence Altman, MD, p. 7.] (A second possiblity is that they may have been given coup de grace injections, perhaps to guard against the possibility that some of the victims might have feigned death in hopes of escape.) Moreover, Dr. Mootoo noted, syringes containing cyanide, but lacking needles, lay everywhere on the ground at Jonestown—a circumstance which led him to conclude that the syringes had been used to squirt poison into the mouths of those (children and others) who had refused to drink. Still other victims seem to have been duped into thinking that they were taking tranquilizers: bottles containing potassium cyanide, but labelled “Valium,” were scattered on the ground around the pavilion. ["Some in Cult Received Cyanide by Injection, Guyanese Sources Say," by Nicholas M. Horrock, New York Times, Dec. 12, 1978.] Based upon this evidence, Mootoo concluded that as many as 700, and possibly more, of Jonestown’s victims were murdered. No other conclusion seems reasonable. Once Dr. Mootoo’s findings are accepted with respect to the cause of death (cyanide poisoning), we have little choice than to accept his judgment upon the manner in which the vast majority of victims died. As the only physician to gather evidence at the scene and to examine the dead where they lay, Dr. Mootoo based his findings upon the best (and, sometimes, the only) evidence available. Just as the cause and manner of death were obscured by the decision to embalm the corpses before they could be autopsied, the identities of those who died were also encrypted. Why this was so is a mystery in its own right. “Lots of people had identification tags on their wrists, usually their right one,” said Frank Johnston, an American magazine photographer who toured the commune shortly after the massacre. [Miami Herald, "Army to Identify Bodies of Cultists," 22 Nov., 1978, p.1.] Some of these tags were hand-made, apparently by the communards themselves, while others had been issued by the medical clinic at Jonestown. Still other victims were identified on the ground by Hyacinth Thrush and others who’d known them. Once identifications were made, the military tagged the bodies. Relatives of the dead, including Johnny Cobb, saw the tags. So did anyone who glanced at the cover of the contemporaneous Newsweek, in which the massacre was reported. But then the tags and i.d. bracelets disappeared. When the bodies arrived at Dover Air Force Base in Delaware, the tags and bracelets were gone. In a real sense, the bodies had been dis-identified, though how and why and by whom remains a mystery. According to Newsweek, the order to remove the tags was issued by Robert Pastor, the National Security Council’s staff coordinator for Latin American and Caribbean affairs. Asked about this, Pastor denies that he gave such an order, adding that it would have been senseless for him to have done so. He’s right, of course, but…there it is. A great deal more could be said about the mishandling of the bodies. It may be enough, though, to call attention to news reports published nearly a decade after the massacre. According to UPI and the Los Angeles Times, three of the Jonestown dead were discovered in January, 1986 stacked in caskets inside a Storage-R-Us facility in Southern California. [Los Angeles Times, 9 January, 1986, I:2:5; UPI, 9 January, 1986, National/Domestic News, PM cycle, Los Angles.] How they had gotten there is unknown. All that could be said with certainty is that they had been forgotten, and were awaiting burial years after they had died. As Dr. Mootoo’s evidence established, most of the people at Jonestown were murdered. How is it, then, that Jonestown has become synonymous with “mass suicide”? An “After Action Report” of the Joint Chiefs of Staff helps to establish the chronology of the myth. Wikipedia captions this image, “Photograph of military personnel carrying bodies of the victims of the Jonestown massacre out of a helicopter.” However, this does, indeed, appear to be a C-141 aircraft. 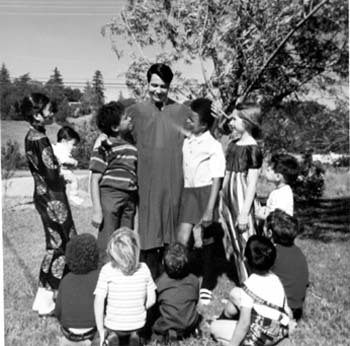 This image is from “the Jonestown Institute” at San Diego State University. At 8:15 P.M., a Department of Defense MEDEVAC was requested by the State Department. Its mission: to evacuate the wounded from Port Kaituma, and to bring back the bodies of those who had been killed. At 8:49 P.M., the State Department relayed a request from the Prime Minister of Guyana, Forbes Burnham, asking that a pathologist accompany the MEDEVAC. Why Burnham should have requested a pathologist from the U.S. is uncertain. The information available to him at the time would seem to have been restricted to the news that Congressman Ryan and others had been ambushed by small-arms fire. Six hours later, at 3:04 A.M. on November 19 a C-141 MEDEVAC left Charleston, N.C., bound for Guyana. All entries in the JCS chronology are Eastern Standard Time. In Guyana, however, it was one hour and fifteen minutes later than in Washington, D.C. – which means that the CIA notified the Defense Department of the “mass suicides” at 4:44 A.M. (Guyana-time). How did the CIA know that anyone was dead in Jonestown – let alone so many as to justify the notion of “mass suicides”? And how could the CIA be so mistakenly certain of the manner in which the dead had died: that is to say, suicide rather than murder? The CIA was the source. But from where did it get its information, so soon after the apocalypse in the jungle? The “Last Tape” is anything but indistinct, and there would seem to be only one way of making sense out of it: that is to say, it means what it says. 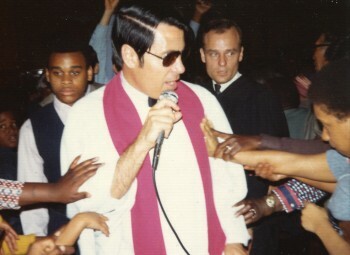 Jones is giving orders to his followers to protect “Dwyer” by taking him to East House (a part of the Jonestown encampment to which Temple attorneys Charles Garry and Mark Lane had been sent, and from which they had already escaped. There is no other “Dwyer” associated with the Peoples Temple, so it would seem fair to conclude that Dwyer had returned to Jonestown from the ambush at Port Kaituma – and that Jones wanted to protect him. But why? Jones is explicit and yet…it makes no sense. For his part, Dwyer has always denied that he returned to Jonestown that evening. He says he tended the wounded in Port Kaituma, throughout the night. If some of those at Port Kaituma found him missing at various times, then it must be because he was moving back and forth between the two locations in which the wounded had been sequestered. Compounding the uncertainty about Dwyer’s whereabouts that night is the allegation that the Deputy Chief of Mission was, in fact, a CIA officer under embassy cover. The allegation is made by Dr. Julius Mader, an East German academician with ties to the former East German intelligence service (Stasi). [Mader is the author of Who's Who in the CIA. It's in that book that Dwyer is named as a CIA officer.] Mader’s opinion would appear to have been based on analysis of Dwyer’s background, which included Dwyer’s enlistment in the State Department’s Bureau of Intelligence and Research, followed by service in the fly-blown capitals of Syria, Egypt, Bulgaria and Chad. In other words, Dwyer looked like a spook. And Mader wasn’t the only one who thought so. 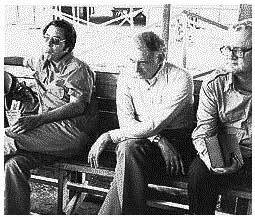 Kit Nascimento, Guyana’s Minister of Information at the time, has stated flatly that Richard Dwyer was the CIA’s Chief of Station in Guyana when the Jonestown massacre occurred. But Mader and Nascimento were mistaken. In fact, the CIA station chief in Guyana was a colleague of Dwyer’s, who was himself working under State Department cover at the U.S. Embassy in Georgetown. This was James Adkins, who would later come a cropper in the Iran-Contra hearings, during which he was criticized for what might be characterized as “over-achievement” on behalf of the Contras in the early 1980s. He later resigned from the CIA. Adkins is important to the story because he was the first outsider to learn of the murders and suicides at Jonestown – and it was he who notified his CIA bosses in Washington about what had happened. Whether he reported that suicides and murders were taking place, or just suicides, is uncertain. In the event, there were others in Georgetown who knew what was happening at Jonestown – but said nothing about it. One of them was a member of the Peoples Temple who lived in “Lamaha Gardens,” a modest house that the Peoples Temple used for liaisons in Georgetown, Guyana’s capital. Told by radio of the ambush at Port Kaituma, Amos knew what would happen next. Everyone in Jonestown was about to die. Taking her children into the bathroom, Mother Amos dutifully slit their throats, then took her own life, as well. News of the horror quickly got out, but nothing further was heard from Jonestown itself. The “agricultural settlement” was a black hole. When the Embassy learned of the ambush from one of the returning pilots, Adkins got on the radio – and stayed on the radio for hours – listening hard. For a long while, nothing could be heard. But int he early morning hours of November 19, the voice of Odell Rhodes was suddenly heard, transmitting almost hysterically. After witnessing so many murders and suicides, Rhodes had used a pretext to get past a cordon sanitaire of Temple guards armed with shotguns and crossbows. Reaching the relative safety of the surrounding jungle, he’d made his way to the little police station in nearby Mathews Ridge. It was from there that he broadcast the report that stunned Adkins. As for Dwyer, he appears to have played a courageous role at the airstrip that night, taking care of the wounded and the dead at considerable risk to himself.